About a month ago, I blogged about a book called The Marriage Project. Wes and I had gone through 21 days of “marriage projects” and reported back that the book was a great tool for husbands and wives in all stages of marriage. We really enjoyed the book and made a lot of fun memories while going through the projects. Soon after, I was given the opportunity to read and review Kathi Lipp’s book The Husband Project, and I’ve just completed going through the book and all of the projects. And can I tell you something? I think I enjoyed this one even more! Kathi’s book delivers just what it promises — three weeks of “projects” for you to complete in order to gain greater communication, fellowship, and intimacy with your husband. Each project is laid out clearly and thoroughly, along with suggestions for completion, testimonies from other women who’ve gone through the projects, and encouragement from Kathi. Don’t pick up this book assuming that you’re going to make HIM the project because more often than not, the projects call you to make changes in your own attitude, outlook, and heart as you seek ways to encourage, bless, and edify your spouse. You’ll feel like you’re the one who was changed through the process! The main theme is being intentional in spending quality time with your husband and putting quality effort into your relationship, things that can be overlooked and forgotten in the busier times of life. 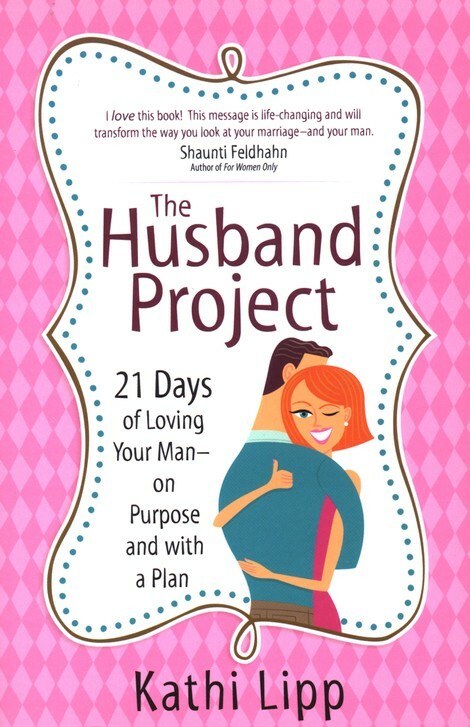 I have a brand new, FREE copy of The Husband Project to give away, thanks to Kathi Lipp! If you would like to be entered into the drawing, just leave a comment answering this question — if you were going to buy your husband a pint of Ben and Jerry’s, what flavor would you get? (Click on the link to check them out!) I’ll draw the winner early Friday morning! Karamel Sutra every time. He only tries new flavors if I get them for myself. Oh, wow! I must say that I've never really looked at all the flavors of Ben n Jerry's before, and doing so got me to REALLY craving some! MAN! So many of those sound SO GOOD!!! But, if I were to pick JUST ONE for my hubby, I'd go with Oatmeal Cookie Chunk. That one is a combination of all his favorite flavors that would tickle his taste buds…all wrapped into one pint! I'd probably buy Pistachio Pistachio for my husband. It would be hard to choose. Lots of good flavors but probably either peanut butter cup or butter pecan. Mark enjoys Black Cherry ice cream so I'd choose Cherry Garcia. If they were out of that, I'd just get vanilla and then stop for some root beer on the way home! He likes just plain Vanilla sometimes!! If not then fudge brownie!! !